Short version: The On Sight is a North Face backpack with a notebook compartment. What more do I need to say? You already know it’s well made, probably outlast you and feels great on the back. Yeah, well, do me a favor and click the link anyway. I don’t think I can fully express how comfortable it is to wear this pack. It’s truly a thing of wonder. But that’s really nothing special when you consider it’s a North Face backpack. 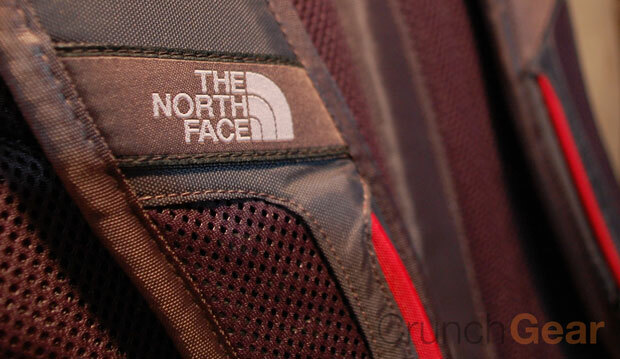 Love ’em or hate ’em, North Face makes great products and this bag is no different. I’m not alone in my opinion about how well the bag rides. The American Chiropractic Associations slapped their approval on it and those folks generally hate backpacks. The shoulder straps are contoured and nicely wrap around the arms and the sternum strap can be adjusted vertically eight inches. There’s even a hip belt that can cleverly be stored behind a false backpanel when not in use. Trust me, the whole thing feels great. The rest of the bag is just as nice, though. There’s plenty of room for just about anything in here. The notebook section is more padded than any other bag I’ve ever seen and not just on the backpanel, but also in the divider between the notebook section and the other large pocket, which is where books will probably be stored. There’s a good amount of internal storage spread out between the three front sections with the largest housing about a dozen or so little gadget pockets. The other front two pockets are great for notebook chargers, extra batteries, cell phones and the like. But this pack’s sale is made on comfort alone. That’s it. All the storage and organization are just bonuses in my book. If this backpack simply had one gigantic zippered section but the same type of comfort level, I would still give it an all-out endorsement. Highly recommended. Well done, North Face.